The 13th annual YarmonyGrass Music Festival provides opportunities for camping, hiking, fishing and river fun during the four-day event Aug. 9-12. What: 13th annual YarmonyGrass Music Festival, with proceeds going toward Kids Music Project by Coral Creek. Where: Rancho Del Rio, Bond. When: Thursday, Aug. 9, through Sunday, Aug. 12. Cost: Tickets start at $35, with a $275 VIP package available and a $150 four-day weekend package. Tickets include on-site camping. BOND — The river is calling, and so is the YarmonyGrass Music Festival. 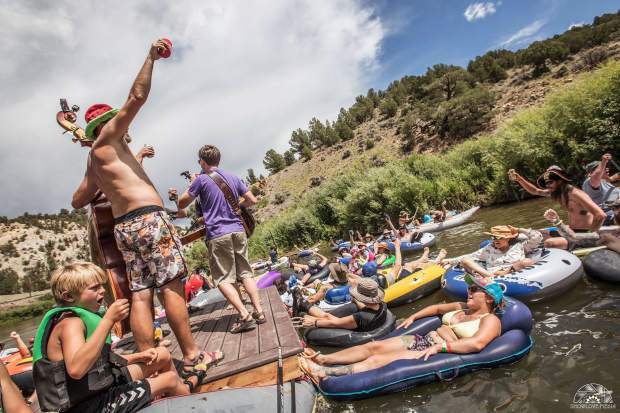 Held at Rancho Del Rio in Bond, the four-day YarmonyGrass Music Festival taking place Aug. 9 to 12 brings both weekend camping and day-tripping festivalgoers dressed in pirate regalia to celebrate the end of summer beneath Yarmony Mountain on the banks of the Colorado River. YarmonyGrass has been a river-front camping festival since 2006, curating an intimate live music experience with the 2018 lineup featuring Billy Strings; Trout Steak Revival; The Drunken Hearts; Coral Creek; Hot Buttered Rum; Rumpke Mountain Boys; Poor Man’s Whiskey; Gasoline Lollipops; Liver Down The River; Mama Magnolia; Tim Carbone, of Railroad Earth; Tenth Mountain Division; The Good Time Travelers; Cascade Crescendo; Ragged Union with Burle Galloway; Boris Garcia; Timber; Uptown Toodleoo; Rum Creek; Goatz; Buffalo Commons; Al Dean & The Temple Balls; plus the Yarmony All Stars. For the past 13 years, YarmonyGrass brings bluegrass to the river. In addition to live music, there is opportunities for hiking, fishing, floating, art experiences, games and crafts for kids as well as food from on-site vendors. YarmonyGrass is a volunteer-driven nonprofit event, raising money for the Kids Music Project by Coral Creek, which delivers music education and performance to kids in Colorado. For more information, visit http://www.coral creekmusic.com. Tickets are on sale at http://www.Yarmony Grass.com (children 15 and younger are admitted free).